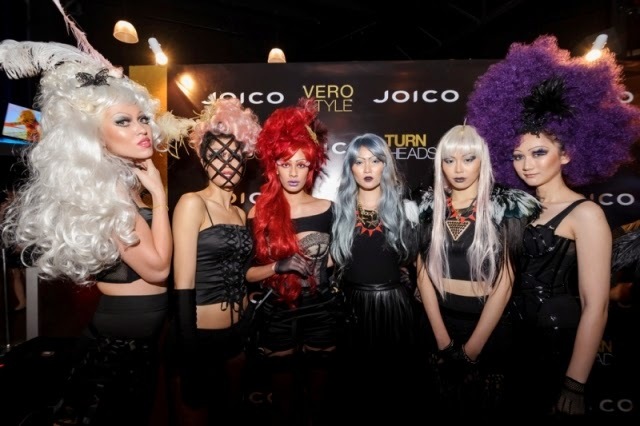 Last month I attended the JOICO Launch Party at The Roof, 1 Avenue, Bandar Utama. JOICO continues to push the limits and give hairstylists the tools to TURN HEADS. JOICO is providing stylists and us with the tools to transform even the most difficult hair into hair that’s extraordinary – shiny, healthy and beautiful. JOICO is a division of Zotos, Inc a Shiseido company that has been pioneering revolutionary hair science artfully blending it with the latest innovation in hair care creating beautiful, healthy hair that Turns Head since 1976. All JOICO hair care, styling, hair color and texture products fuse the latest breakthrougs in hair care service with inspirations from the worlds of art and fashion, to offer exceptional quality, unparalleled performance and lasting beauty from inside out. JOICO Launch Party was hosted by Goh Wee Ping, the event was kick-started with an opening speech by Regional General Manager of Shiseido Professional Malaysia & Singapore, Miss Samantha Vong; followed by an introduction of Miss Aileen Ong, Brand Manager of JOICO. The Launch Party was then taken over by a magnificent hair show by guest artists Cherry Petenbrink and Kim Judkins Bonadio. Cherry is a member of JOICO’s Elite Color Competency Team is a former salon owner and is now a celebrity stylist, and Hollywood’s film color consultant. Cherry has also worked with many celebrities, namely Nicole Kidman in Stoker and Scarlett Johansson in Captain America. Kim is a US platform artist who has been in the industry for about 20 years now. Kim’s creations have been featured in multiple international media such as The New Straits Time and Hair For You For Me Malaysia & Singapore. Cherry and Kim showcased their extravagant and very colourful hair creations through a runway performance. Guests and members of the media were given the opportunity to witness both Cherry and Kim in action on stage that night. Both clad in classy black, Cherry and Kim ended their hair show with a final catwalk by all the models. It was indeed an eye-opening experience for all who was present at The Roof that night. Guests and members of the media were also treated to rounds of food and drinks while they partied the night away.